1x8GB DDR3 module tested for CCR1016-12G, CCR1036-12G-4S and CCR1036-8G-2S+ - for 8GB RAM capacity. Use two of these for 16GB in a router. 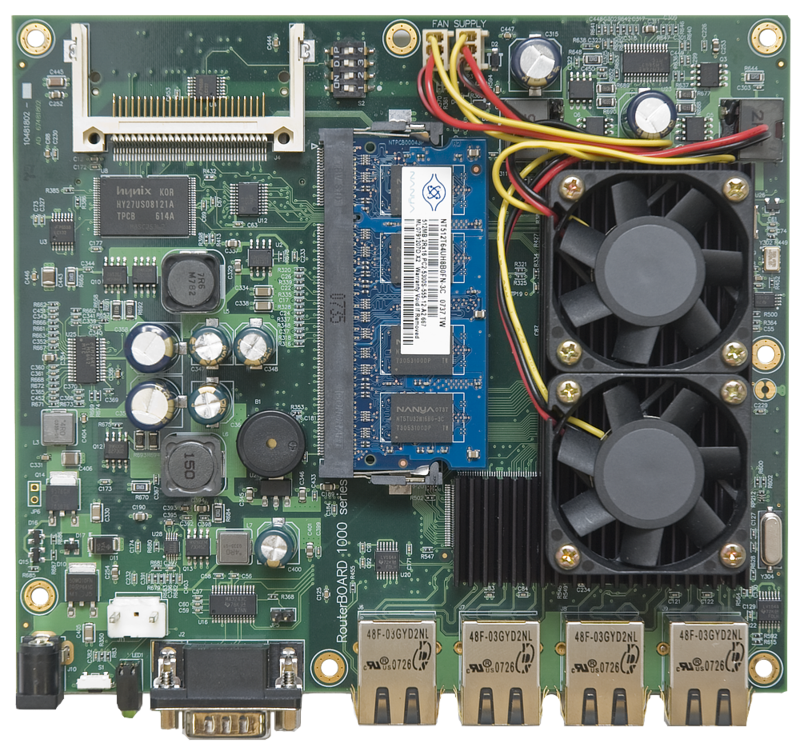 The CCR1016-12G router ships with 2GB DDR3 RAM as default. These CCR1036-12G-4S and CCR1036-8G-2S+ routers both ship with 4GB DDR3 RAM as default. Mikrotik PL6411-2nD 802.11b/g/n WiFi AP with a single Ethernet port and capability to connect to other PWR-LINE devices - New! Mikrotik RouterBoard RB4011iGS+5HacQ2HnD-IN (Export version) Powerful 10xGigabit port router with a Quad-core 1.4Ghz CPU, 1GB RAM, SFP+ 10Gbps cage, dual band 2.4GHz / 5GHz 4x4 MIMO 802.11a/b/g/n/ac wireless and desktop case - New! Mikrotik RouterBoard wAP2nD RBwAP2nD outdoor 2.4Ghz 802.11b/g/n Dual Chain White wireless access point AP - New! Mikrotik RouterBoard RB1100AHx4 RB1100AHx4 complete Extreme Performance Router with 13-10/100/1000 ethernet ports and RouterOS Level 6 license - New! Mikrotik mANTBox 15s RB921GS-5HPacD-15S (US and Canada version) 5GHz 15 dBi 120 degree Dual Polarity Sector antenna with integrated Radio - New! Mikrotik ACGPSA is standalone active GPS antenna, that works in 1575.4 MHz spectrum - New!